Mid week and time for a hair mask! I recently dyed my hair (i think my hair is so dark that you can't even see a difference =.=). But anyway to prevent it being so dry, i used a hair mask today. 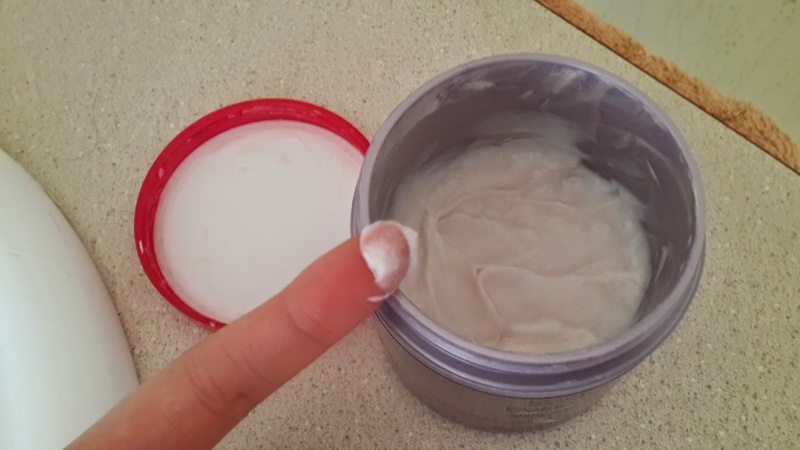 I try to aim to do this treatment about 2-3 weeks to keep my ends moisturised, i hate split ends so much :c and i somehow still end up getting them! 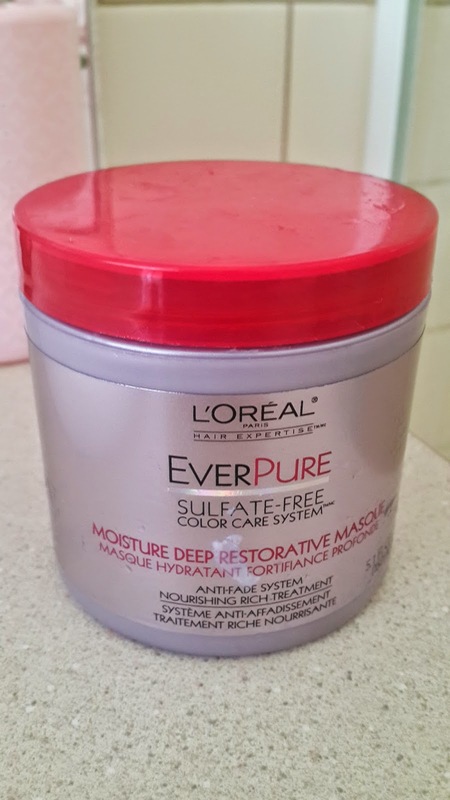 Been using the L'Oreal EverPure Moisture Deep Restorative Hair Masque for quite awhile now, i only focus on apply it to the ends and then tying it up and putting it to sit there for at least 30 minutes. I use either glad wrap or a shower cap to make sure it stays on my head. After around 30 minutes, I take my hair out and give it a rinse. It usually feels really soft and silky after this! This product does have a heavy smell though and i know some people really don't like it. I am personally okay with it and i actually really like the texture of the product. A small tub of treatment! Pretty much used half the tub now! One tub is around US $8-10. Hair treatments have always generally been on the pricier side, but i've found that this 150ml tub does last quite a long time even after putting generous amounts in my hair for each treatment. I've also been looking at trying the Dove Intensive Hair Repair Treatment to compare to this. Will i purchase again: I think this treatment does leave my hair silky, smooth and moisturised, but more in the short term rather than in the long term. My hair becomes dry again a few days after that and can lose that feeling. To prevent that, i try to use a better conditioner which can provide the right nutritions for my hair every day. I think i will explore what else is available in the market in terms of hair masks, but this is definitely not a bad treatment!